Gosh I love this city! Buenos Aires (BA) is one of those unique, terribly fascinating cities that one stumbles upon, falls in love with and keeps coming back to. BA has a buzz that’s one-of-a-kind: I’m not sure how I would describe it; maybe that’s because the buzz has so many facets: it’s, among others, sensual, raunchy, hip, incredibly artistic and folksy. It stems from the people (how they look, dress, talk, walk and gesture), the traffic, the eclectic architecture (that ranges from cute brightly coloured colonial houses to stately buildings and steel-and-glass skyscrapers), the gorgeous murals on the walls, the quaint cobble-stone streets, the beautiful trees everywhere, the open-air markets, the tango dancers in the streets, the cosy squares, the broad boulevards,…it’s in everything. The traffic is maddening yet the city has countless spots that are an oasis of tranquility and there’s always something interesting to see, hear or be a part of. Really, this city is literally a jumble of everything and parts of it do remind me of other great cities of the world like New York, Paris, Madrid and Barcelona. I arrived in BA for the first time from Bariloche and checked into a wonderfully hip place called Mine Boutique Hotel in Palermo Soho, a very vibrant neighbourhood. I dumped my bags in the room and ventured out into the streets. Palermo is fantastic: leafy, cobble-stone streets filled with loads of shops boasting the latest stuff from young Argentine designers; large squares with loungy terraces packed to the brim; art markets with a myriad of trinkets, jewellery, individually-designed clothing, glassware, ceramics and antiques; and trendy restaurants with fabulous interiors and folksy cafes and bars. That evening, I discovered a fantastic restaurant called Mott (on El Salvador street) and had a splendid dinner. If you’re in BA, I can certainly recommend this place! The next day, I took a cab downtown (the distances here are pretty large – there are after all about 15 million people living in this city!!) and explored that area. 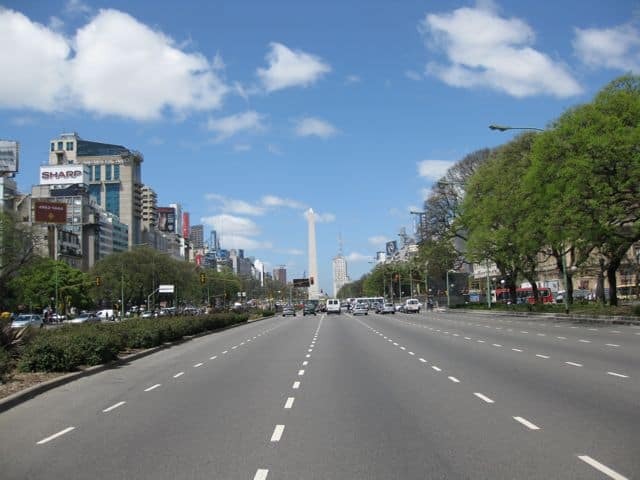 One thing about the taxis here: if you’re looking for an adrenaline rush, forget roller-coasters, just take a cab in BA! People here (especially cabbies and bus drivers) are incredibly impatient, zip across lanes like they were in some Formula One video game and use their horns profusely. I don’t know how they do it but the cabbies (somehow miraculously it would seem) do get you to your destination in one piece! 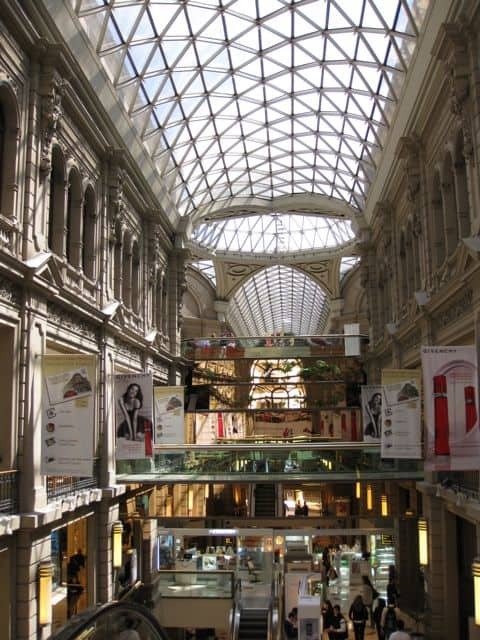 I went for a long walk around the downtown area, passing by the pedestrianised shopping areas of Florida street and checking out the gorgeous Galeria Pacifico shopping mall, the impressive Avenida Cordoba and the equally impressive Avenida 9 de Julio (with its 16 lanes, it’s touted as the widest boulevard in the world! 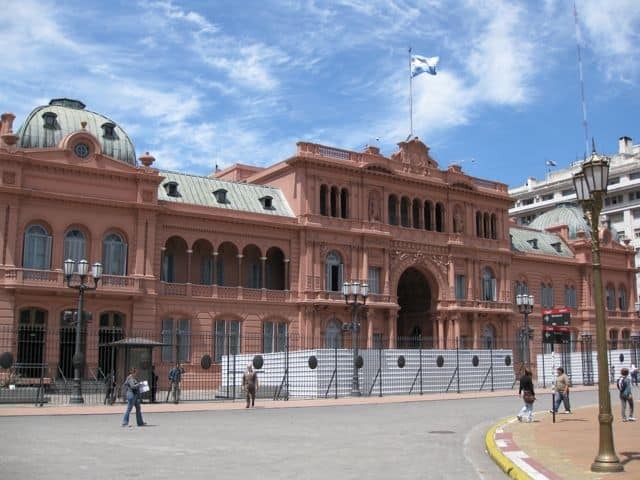 ), the famous obelisk and the Plaza de Mayo with the Casa Rosada (where Evita Peron delivered her famous speeches). From the Plaza de Mayo, I walked down Defensa street to the San Telmo neighbourhood, probably one of the most characteristic neighbourhoods in BA. San Telmo is absolutely gorgeous: old run-down buildings mingle with renovated super-trendy eateries and boutiques while quaint squares form the decor for street performers and tango dancers. I spent the rest of the afternoon at Plaza Dorrego , a beautiful square, just soaking up the wonderful energy in this neighbourhood. 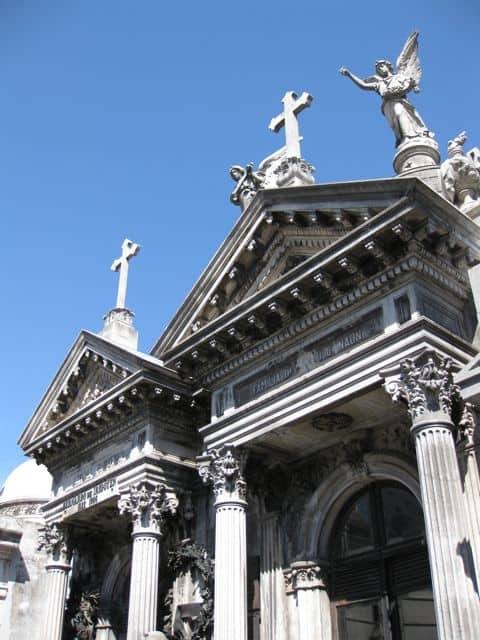 The following morning, I hopped into a cab to get to Recoleta, another famous BA neighbourhood. As I got into the cab, another cab zoomed by and stopped, blocking the cab I was in and refused to move. Both cab drivers began a heated quarrel about something; there was a furious exchange of words and gestures and in the end, my cabbie told me to step out and hop into the other cab, which I did. Seems the second cabbie saw me first but the first cabbie cut him off to get to me, hence the argument. When I got in, the (second) cabbie apologised profusely. We weren’t rid of the first cabbie though because he got ahead of us and blocked our passage by swerving left and right until our cabbie made a ‘getaway’ manoeuvre to steer us clear. I’ve never experienced anything like this before. Quite bizarre. I can only relate to experiences involving cabbies who are fussy about who they pick up and where they have to go! Anyway, we got to Recoleta safely. 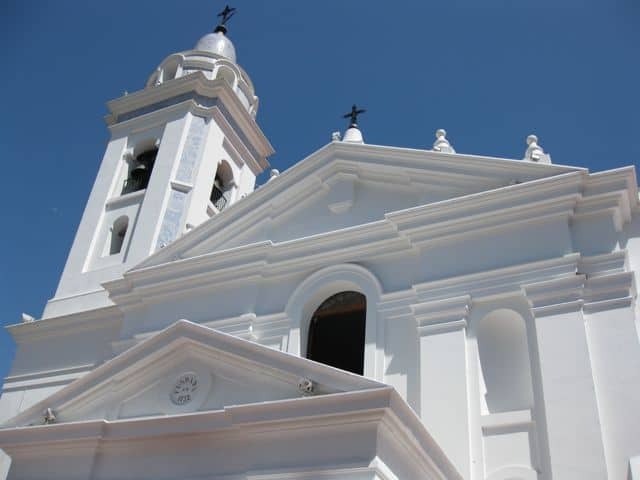 Whereas San Telmo is quaint and colourful, Recoleta is grand, stately and oozes an air of prestige. 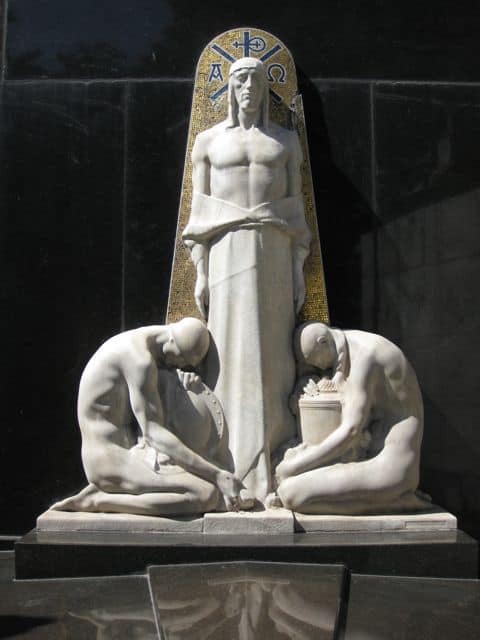 Our first stop was the Recoleta cemetery where many famous Argentines (yes, including Evita Peron) are buried. The cemetery is just awesome. It’s a huge maze of grand mausoleums and chapels that are decorated with impressive statues and busts in stone and bronze. 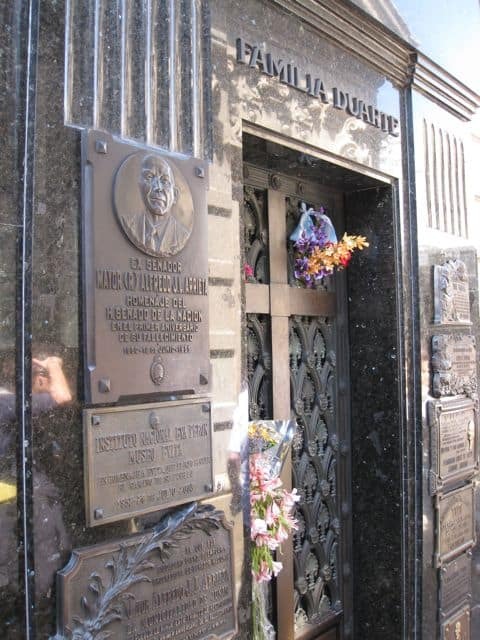 Compared to some of the other mausoleums, I thought Evita’s tomb was like a simple hut! 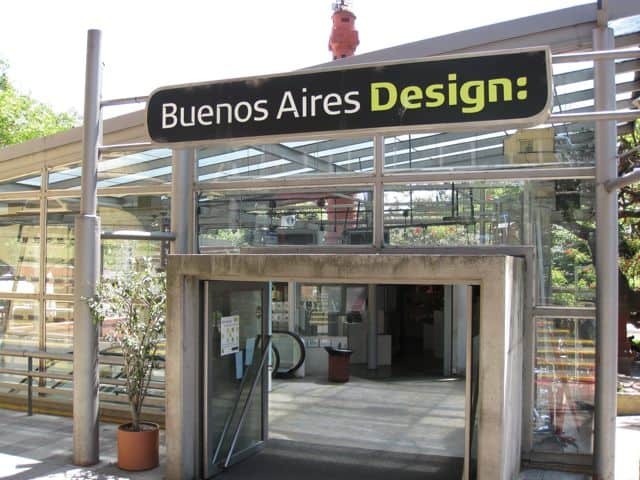 I then visited the gorgeous white Pilar church next door and continued on to Buenos Aires Design, a mall that showcases the best of Argentine design. I must say, the art and design scene here is very much alive and kicking! Absolutely love the stuff they have here. It’s imaginative and downright funky. 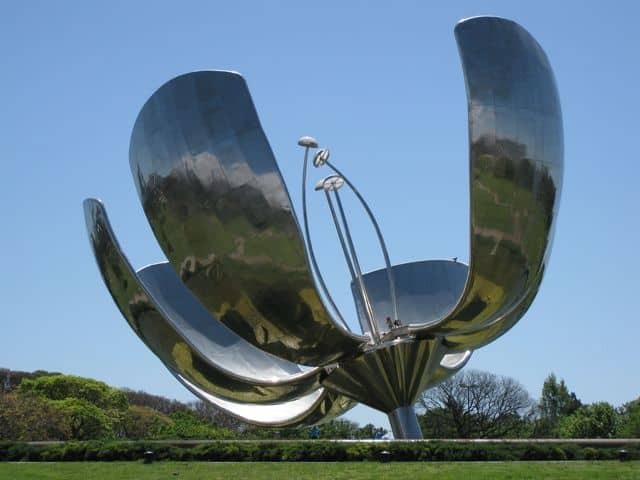 From here, I moved on down the broad Avenida del Libertador where we passed the Floralis Generica monument (a giant flower made of aluminium that opens in the morning and closes at night…like a real flower!). I then spent the rest of the afternoon at the Malba Museum (of contemporary art) where I had a gorgeous lunch at the very cool Restaurant del Arte. It was a short three-day stay but I’m totally awed and definitely in love with Buenos Aires! Thanks Juno. I would, without any hesitation, recommend Buenos Aires to anyone. It’s such an amazing city and I enjoyed every minute of my time there. Glad to hear that you liked BA. I haven’t been but it’s one of (many) places that I really want to go. 🙂 Great read, Keith! I love the cab story …. looks like you had a great 3 days here. And I took a note of the Italian restaurant!!!! We are now in Buenos Aires until the beg. of May – we fell in love instantly! Making me miss BA a lot! We loved Palermo too – there are some amazing vegetarian restaurants there, although we ended up renting a fabulous apartment in Barrio Norte. Each barrio has a different feel so it’s a great city for wandering. I really enjoyed revisiting BA w/ you. 🙂 You highlight so many of the beauties there. 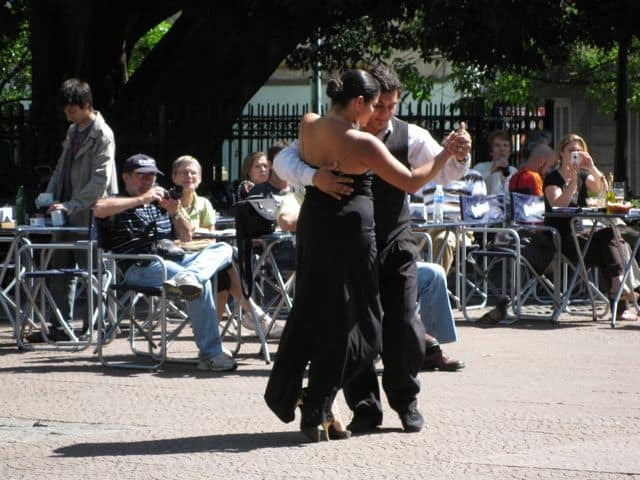 When I lived in Buenos Aires I stayed in the San Telmo neighborhood, a really authentic part of the city where I enjoyed a variety of activities, from walks through the streets, the Sunday fair to disco nights and pubs. La Boca was always an incredible part that I was to visit once a week, those colorful streets made me felt new. During my time in the city, I also had the opportunity to book trough http://bsas4u.com/ a Tango Show in Esq Carlos Gardel, and I enjoyed a really unique night. I believe that that’s such and authentic activity that is so hard to find in other place of the world. Thanks for your comment. Yes, I checked out Boca as well on another trip to BA. Pretty neat neighbourhood too. Going to check out Boca as well?